If a flow step requires input that is not provided, the flow will stop running. For example, if a step requires input data from a user-completed form and the user submits the form with no data in the required fields, the flow will not continue. Adding a No Data Result	path solves this problem by allowing a flow to proceed, even when a flow step requiring input does not receive it. Add a No Data Result	path in the Flow Designer by selecting the Show No Data as Path	checkbox in theProperties	panel, under the Outcomes	section. 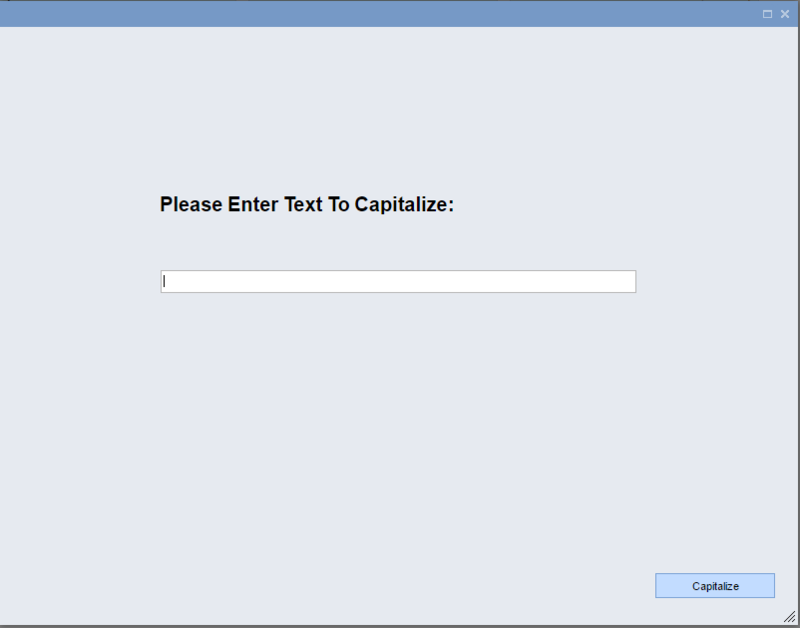 In this example the flow will capitalize text that we will supply via a form. If the form is submitted without text, we will be presented with another form advising us to add text for capitalization. 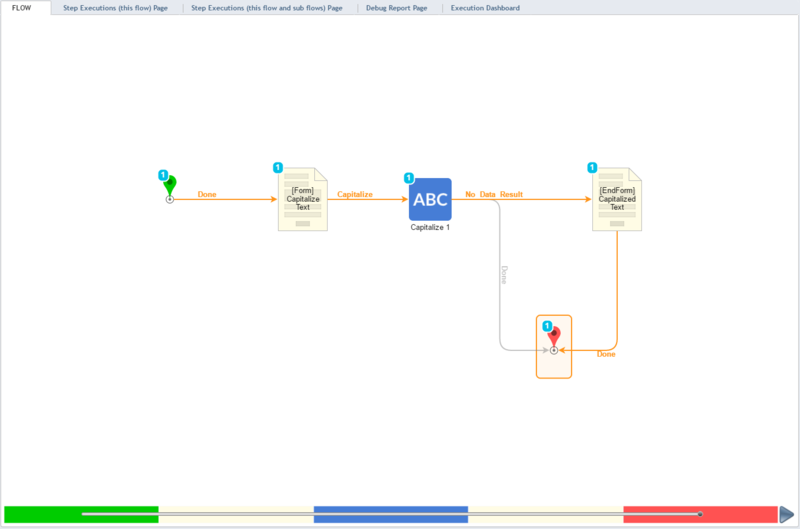 Behind the scenes, our example flow has continued to the End Step	. We begin our example with the bulk of our flow already in place. 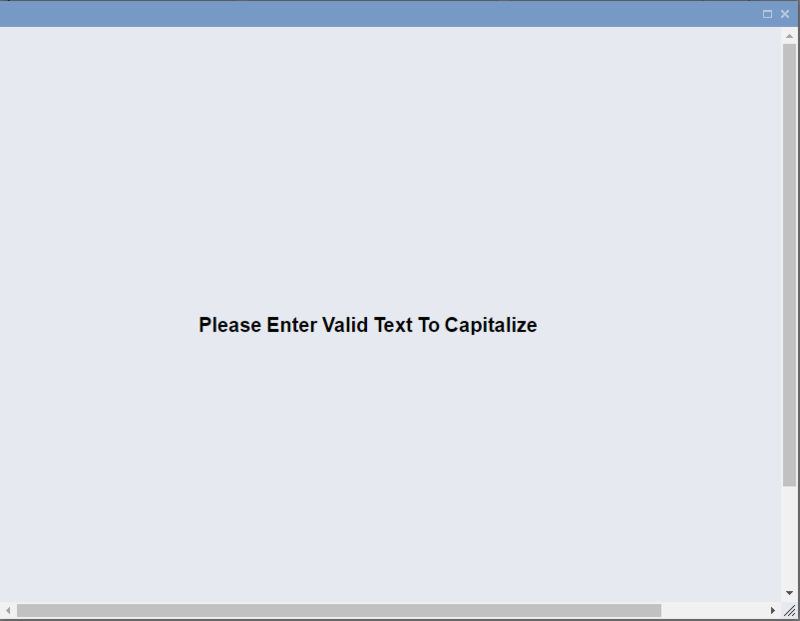 Our first step is the form into which we&apos;ll enter text for capitalization. It has one path Capitalize	that flows to our capitalization component Capitalize 1	. This step also has one path Done	which leads to the End Step. Another form End Form 1	has also been previously created for this example. In the event that our form is submitted without text, we want Capitalize 1	to detect this and show us the second form. Select Capitalize 1	and, in the Properties	panel, under the Outcomes	section, select the Show No Data as Path	checkbox. This creates a No Data Result	anchor which we can use in the next part of our example. Next, place the form that will alert us when we&apos;ve submitted our first form without data. In the Toolbox	panel, under the categoryForms [End]	, drag anEnd Form	component to the workspace. Next, we&apos;ll connect Capitalize 1	to [Form] End Form	with the No Data Result	path. Also connect**[Form] End Form**	to the first form with the Done	path. This completes our flow. Click Debug Flow	to run this flow in the debugger. Click the Diagram tab to see the flow&apos;s progress. Even though we entered nothing in the field on the form, the flow has continued to run, reaching theEnd Step	, directed in part by the No Data Result	path. Close the debugger and run the flow. We&apos;re directed to our second form, telling us that we need to provide text to capitalize.